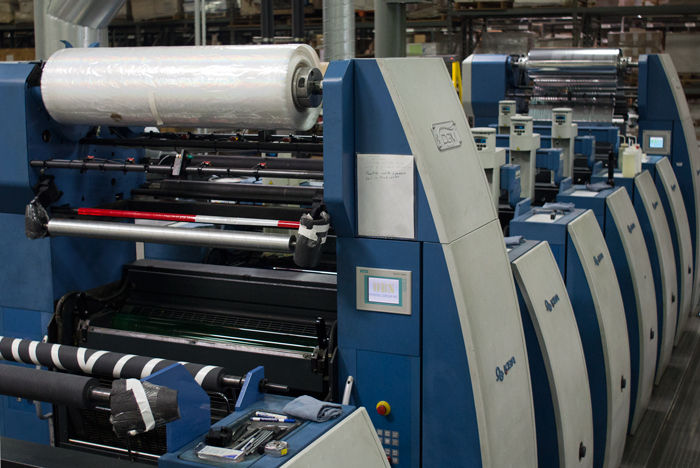 Diversified Graphic Machinery recently installed its exclusive Foildex™ Cold Foil indexing technology as well as Filmdex™, UV Cast and Cure™ technology on a KBA Rapida 105 press at UBS Printing Group in Corona, California. “We are very excited about the recent installation at UBS Printing Group” President, Michael DeBard says, “UBS is a pioneer and leader in Cold Foil Printing and we are very excited to have the opportunity to upgrade their KBA 105 press with our Foildex™ Cold Foil Indexing Technology. With the installation of DGM’s Foildex™ System, UBS can now offer their clients the shelf appeal they are looking for in a more cost effective way”. Foildex™ drastically boosts the efficiency of the use of cold foil by utilizing the indexing function. The KBA press is also equipped with a Filmdex™ UV Cast and Cure™ system that utilizes a LED UV Cast and Cure™ lamp. The casting film on this system can be reused multiple times.